One thing that drove me craaaaaazy when I was single was talking about my love problems to my other non-single friends who either didn’t struggle the way I did or had been in a relationship for a while and forgot what it was really like. Ahhh, I would have rather poked my eyeballs out then hear that again. 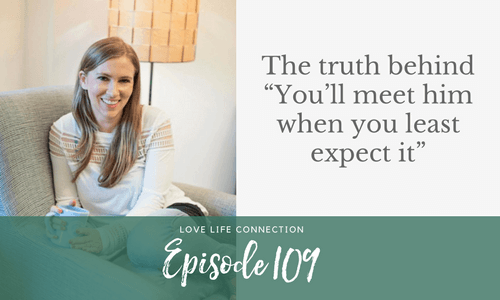 While I don’t really think that this advice is good or true, there is truth behind it, and in this episode, I break it down. Learn more about the Love Incubator HERE.